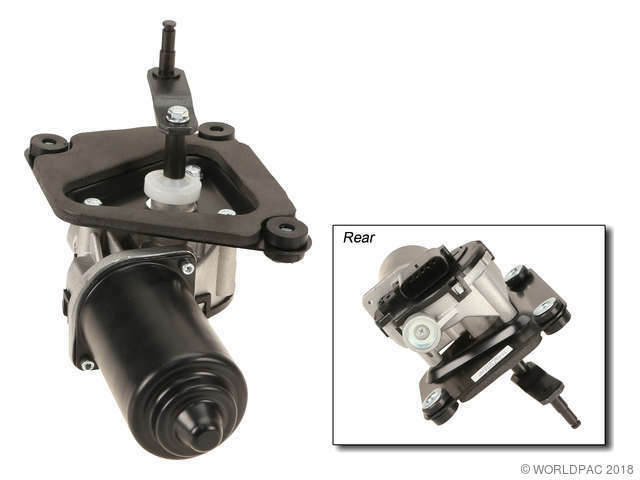 Showing 1 - 5 of 5 Products for Windshield Wiper Motor. A Moisture Sensor Monitors Rainfall Accumulation On The Windshield And Provides Input To The Windshield Wiper Motor Control Module. The Windshield Wiper Control Module Adjusts The Wiper Motor Speed Accordingly. Check The Wiring Harness Ground, Terminal Ground Lug Or Ground Strap. If The Motor Still Does Not Operate Properly, Check The Switch And Switch Circuit. How Can I Determine If My Vehicle Is Equipped With A Moisture Sensitive Wiper Motor? How Do Moisture Sensitive Wipers Work? I Just Installed A New Wiper Motor And Put My Old Washer Pump On And The Motor Does Not Work. Is The Motor Defective? Most Vehicles Equipped With This Feature Have A Rain Sensor Permanently Mounted To The Inside Of The Windshield In Front Of The Rear View Mirror. The Motor Is Not Defective. There Are Some Wiper Motors That Will Not Operate If The Washer Pump Is Defective. This May Be The Cause Of The Original Motor Problem. Bench Test Wiper Motor And Washer Pump Before Replacing Either. The Wiper Motor Continues To Stop In The Middle Of The Windshield. What’s Causing This To Happen? Why Won’t The Wiper Motor Work? I Have Everything Hooked Up Properly. Brushes Are Precisely Designed To Ensure Armature And Contacts Are Properly Matched. Gears Are Designed With A Stronger, Less Brittle Material Than O.e. To Prevent Premature Wear, Striping And Breakage. Load Testing Ensures Reliable Performance. Magnets Deliver The Right Amount Of Torque Needed To Withstand Extreme Weather Conditions And To Compensate For Other Worn Components In The Wiper Motor Transmission Linkage. Building on decades of experience using reverse engineering to remanufacture automotive wiper motors, CARDONE engineers have meticulously designed our CARDONE New Wiper Motors as an improvement over the original design. Our motor gears are designed with a stronger, less brittle material to prevent premature wear, striping and breakage – resulting in a product you can trust for the long haul. Each Unit Has Its Main Components Tested Or Gauged Against The O.e. Standard. [armature, Field, Bearing, Parking Switch, Or Pulse Board] – Then The Final Product Is Tested For Each Of Its Functions On The Vehicle. CARDONE’s legacy began in 1970 when its first product offering was released ? Remanufactured Wiper Motors. 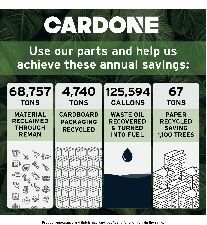 Since then, the CARDONE name has become synonymous with high-quality, remanufactured products. Every CARDONE wiper motor is re-engineered, built and tested to match O.E. performance. For nearly half a century, CARDONE Remanufactured Wiper Motors have provided rock-solid reliability that you can trust for the long haul.